Indian techies are looking for alternatives to H-1B visas such as Canada PR or Australia PR. Canada has emerged as an attractive destination for Indian techies for PR status and same holds good for Australia too. Nations such as Canada and Australia have hassle-free and quick PR processes for skilled workers such as techies. Indian techies in the US can also succeed at any startup in Australia or Canada owing to the similarity of cultures. This implies that it will be easy to launch the next LinkedIn, Tesla, or Snap chat from any of these nations, as quoted by the Times of India. The Trump administration is drafting a proposal to abolish a critical policy that permits H-1B visa holders spouses to legally work in the US. 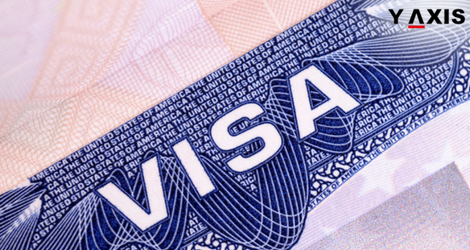 This move is likely to affect more than 70,000 spouses that are holders of H-4 visas. It is basically aimed at dissuading applicants from nations such as China and India. These nationalities are the majority of the beneficiaries of the H-1B visas that are offered annually in 85,000 numbers. The screening process for the H-1B visas has also been made more stringent by the US administration under Trump. Reports in the US media have revealed that USCIS is holding enhanced strict checks for backgrounds of the H-1B visa workers. It is also scrutinizing the companies that recruit large numbers of H-1B workers. The US immigration agency has also begun denying and delaying visas to enhanced numbers of applicants. In case the H-1B visa program is made tougher or even scrapped, this will disrupt the conventional model of Indian businesses for exports of software services. It will enhance their costs of carrying out businesses in the US.